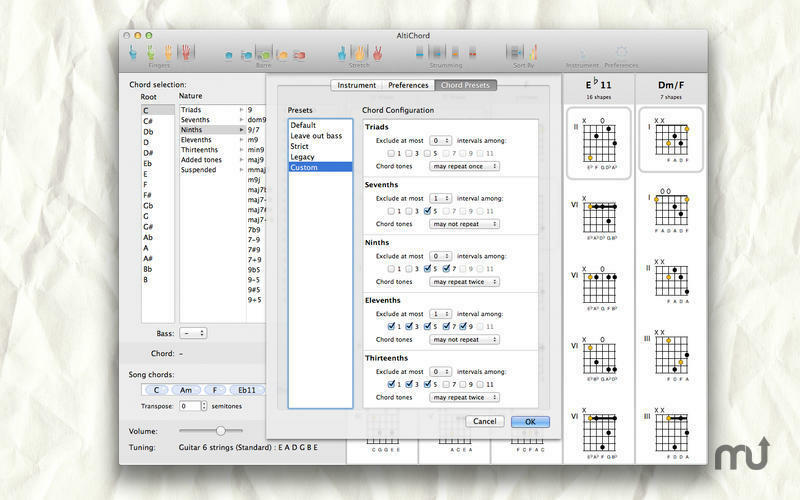 Chord reference application (was AltiChord). Is there a better alternative to ChordAid? Is ChordAid really the best app in Music category? Will ChordAid work good on macOS 10.13.4? 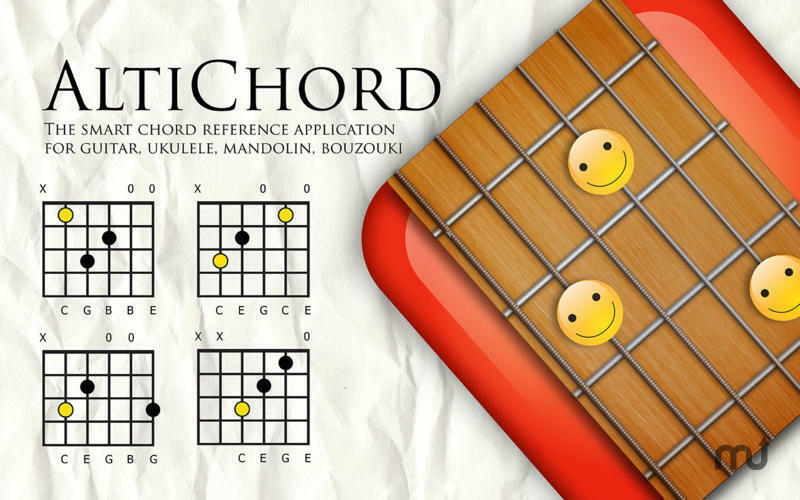 ChordAid (was AltiChord) is a chord reference application for various stringed instruments like guitar, bass, ukulele, mandolin, or bouzouki. 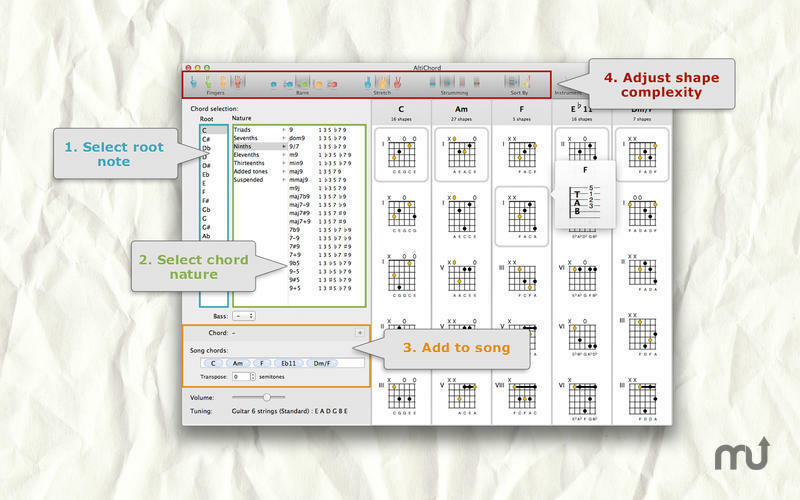 It supports standard and custom tunings, simple and jazz chords. 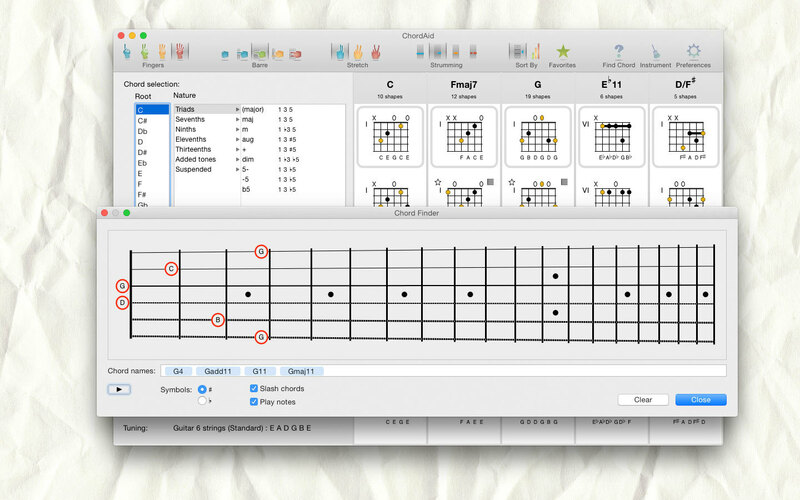 In addition to the usual chord shapes, it lets you choose among more difficult chord shapes with two barres and big stretching between fingers. 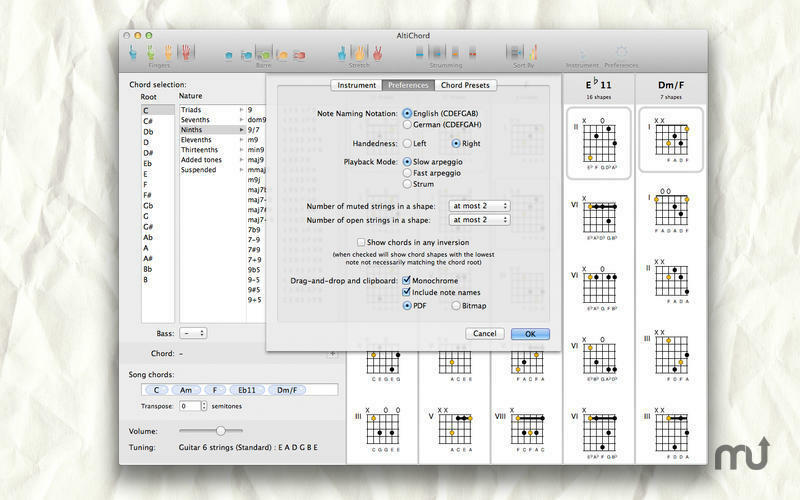 The trial version is limited to few chord types in each category and limited number of instruments and tunings. The full version is available on the Mac App Store. Note: The downloadable demo is version 2.1d. The version available for purchase on the Mac App Store is version 2.5. It is now possible to change the chord name font and distance to chart when dragging and dropping to other applications. ChordAid needs a review. Be the first to review this app and get the discussion started! ChordAid needs a rating. Be the first to rate this app and get the discussion started!